Square Enix does way more than just FInal Fantasy figures. 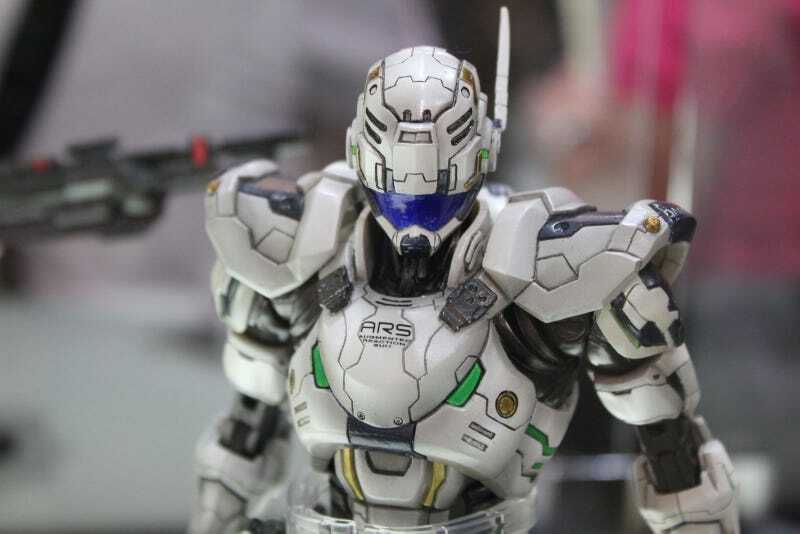 They've got fantastic looking toys from other games—Metal Gear Solid, Street Fighter, Batman: Arkham City, Vanquish, Halo, God of War...—coming to their Play Arts Kai line. They brought 'em all to Comic-Con. Some of them look finished. Plenty don't. They all look sharp, especially Sam Gideon from Vanquish. See what non-Final Fantasy figures Square Enix imported to the San Diego Comic-Con, the pre-order accordingly.